In Mengzi County, Yunnan Province, the mountain village of Shitouzhai contains 54 households. Here, the per capita arable land is just 0.33 hectares. 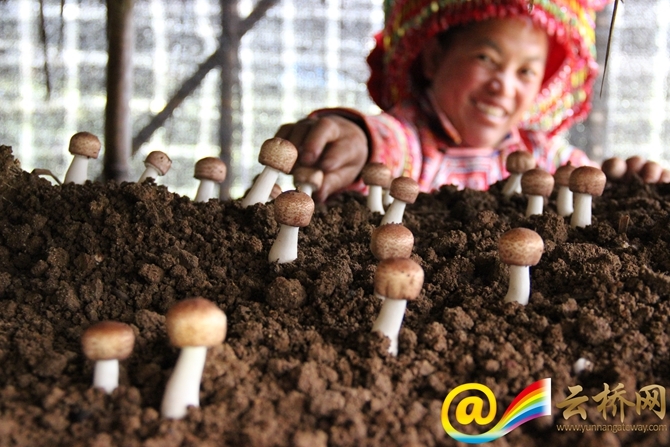 In the past, villagers planted ginger, ginseng and cabbage in an attempt to develop a sustainable agricultural economy. But as other places began to grow cabbage in greenhouses, the village lost its market advantages and never recovered from the setback. 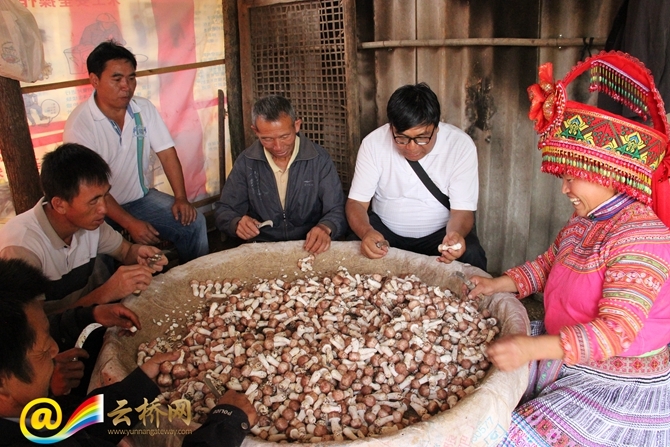 After learning that the market has a great demand for almond mushrooms, the village Party secretary, Wan Yuanhua, took a group of locals to visit the Fuyuan Edible Fungus Company for a field survey. “With one greenhouse, you can harvest six crops in a year. The output will be no less than six tonnes, and the income will be no less than 50,000 yuan. It is really cost-effective.” The introduction of the Fuyuan company made Wan Yuanhua excited. “Our company provides technical assistance. And we also provide financial support to cover part of the cost of building new greenhouses. 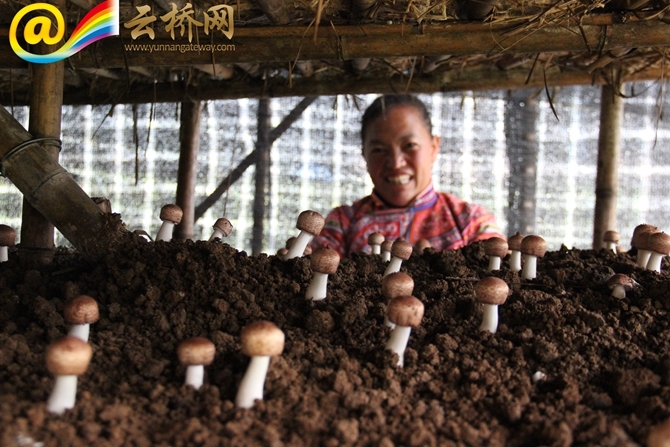 We will purchase almond mushrooms from the villagers for at least eight yuan per kilogram,” You Wanteng, general manager of Fuyuan Edible Fungus Company, told Wan Yuanhua. Soon, a model of “Party branch + company + production base + farmers + financial support” was established in Shitouzhai Village. 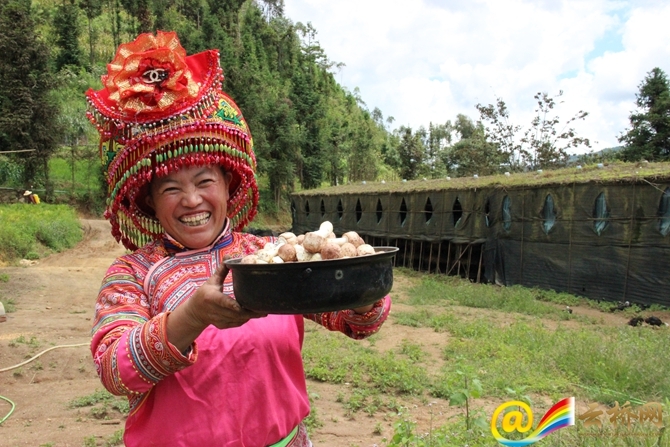 Each poor household received an interest-free loan of 50,000 yuan. The company invested in the greenhouses. In this way, the company and the villagers can share the benefits, with the villagers receiving the largest share of the profits.